Well, we have three proofs that could point to our fake war against ISIS. 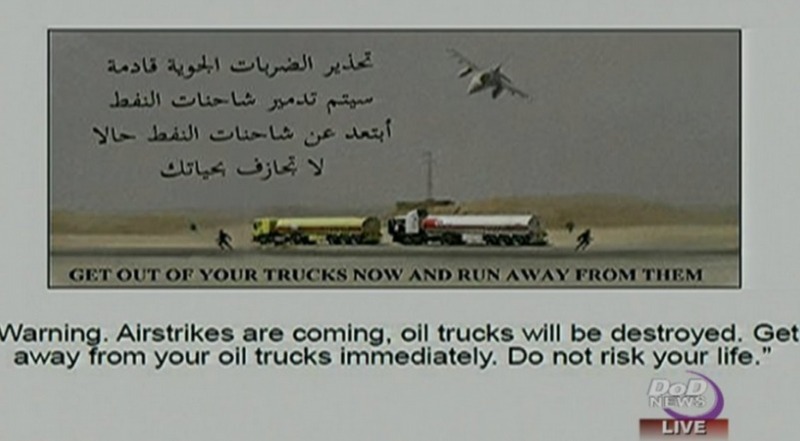 The first proof is that we dropped fliers warning the truck drivers of ISIS owned trucks to flee. 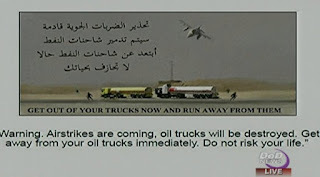 The argument was made by Col. Steve Warren that "This is our first strike against tanker trucks, and to minimize risks to civilians, we conducted a leaflet drop prior to the strike. We did a show of force, by--we had aircraft essentially buzz the trucks at low altitude." The second proof that we are not doing much against ISIS is the PBS footage showing Russian bombings of key ISIS resources, while PBS attributed the bombings to the United States! Since I don't believe PBS is lazy, it appears that there simply was no footage available showing American strikes at all. The third proof that the US is fighting a phony war against ISIS is that America could be taking a page out of the Vietnam War, sending fake missions and recording massive bombings that didn't happen. 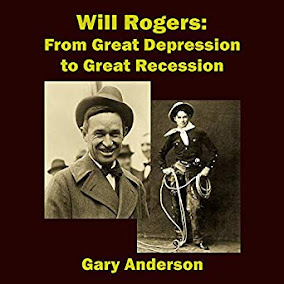 Veterans Today has reported that bombings took place of abandoned villages and were more practice than actual attacks. Apparently the Russians have footage of these fake attacks. So, you ask, why would the USA be engaged in a fake war against ISIS. Well, if the US armed ISIS as John McCain has said,, and if America is still committed to the policy of regime change, the government will not seek to destroy the terrorists that actually could be used in the future to effect regime change in Syria and maybe even Iran. ISIS is part of America's force in the Middle East, which indicates just how far the nation has fallen into darkness. Our people hate ISIS and our government fosters that hatred which spills over to all Muslims, while carrying out a fake war against ISIS. That is a very dirty scheme. Again, this assumption about the fake war is based upon scarce knowledge, as the war theater is controlled mostly by America. Russia is exposing America, and certainly the US government vacillates between supporting Russia and denouncing Russia. The US could really go after ISIS if it is perceived to be fighting a fake war and finds its hand firmly placed into the cookie jar. So the fake war that likely exists may turn around in the future, but based on how it looks now, my view that the war on terror is simply a mask hiding the real doctrine of regime change from the bulk of the American people is the real truth. 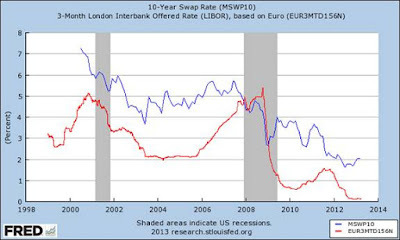 How this probable fake war could effect oil prices is something to consider. Clearly, a strong ISIS could effect regime change in Iraq and Iran. A strong ISIS could impact China and India and many nations on the face of the earth. The US is crazy for considering the harnessing of ISIS for more regime change, and it could only make oil prices volatile in the future. If oil prices go down due to lack of demand, ISIS becomes a tool for controlling and diminishing supply. As long as America wants ISIS to exist, oil supply and price stability remains threatened. If America continues to seek to secure oil and pipelines and power for the western world through regime change, this could lead to WW3, which is being pushed by many dangerous thinkers who think it is necessary.